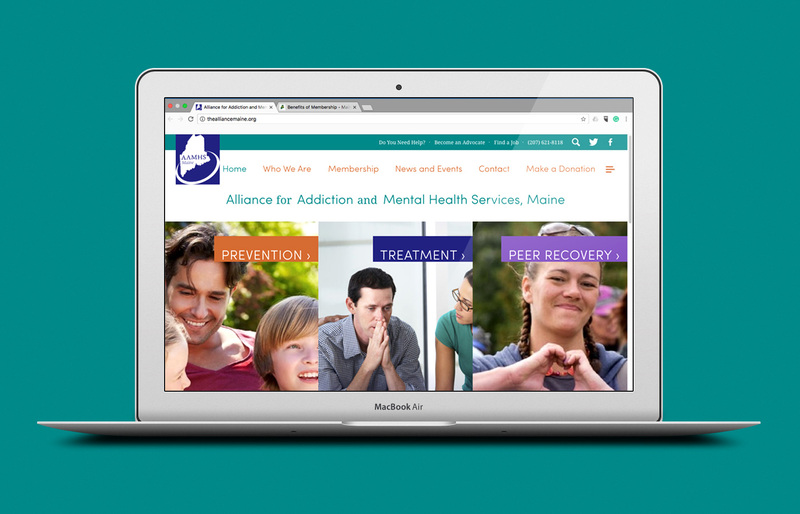 The Alliance for Addiction and Mental Health Services, Maine is a non-profit, statewide membership association which provides a unified voice for Maine’s community behavioral health providers. The Alliance partnered with RainStorm to build a mobile-responsive site guiding visitors toward behavioral health resources related to prevention, treatment, and peer recovery. Membership Easy access to the latest news, member information, and to specific program partners were site features. The WordPress multi-site also provides AAMHS Maine the option to offer certain partner programs their own websites within the system, such as the Maine Alliance for Addiction Recovery. Subsite designs are guided by the main design but are independent and offer customizable features including links to social media, program news, events, and contact information. Subsites may be added to the system when they are needed.